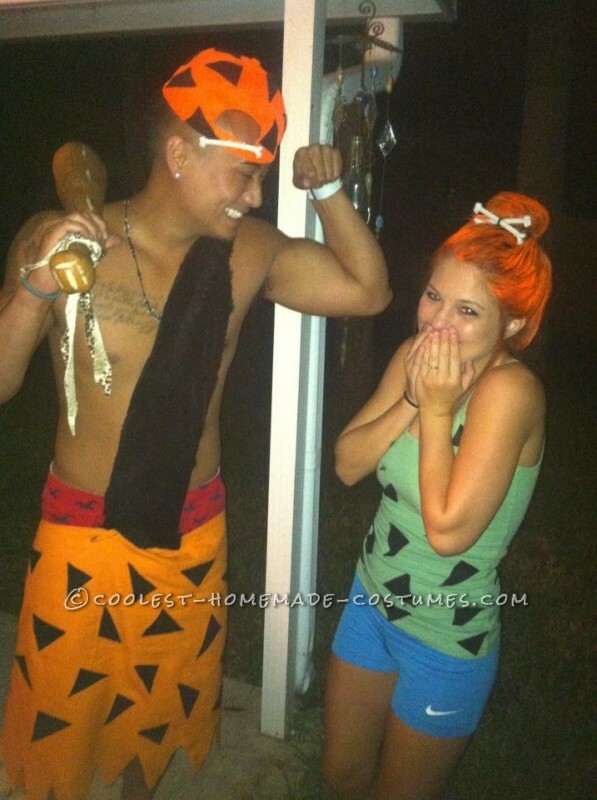 This Bamm Bamm and Pebbles Couple Costume was a DIY costume that was very easy, even for those who aren’t that crafty, and overall really cheap for everything. It turned out super cute and I got so many compliments on it when we went out. I wore a pair of blue spandex and used a green tank top I already had and hot glued black felt triangles to it. I bought orange spray paint for my hair and plastic bones for in my hair. We got orange fabric for the skirt and cut the bottom to have triangles, then I glued on triangles of black felt to it. The part across his chest was a strip of fabric from Jo Anns and we just pinned it to his skirt. 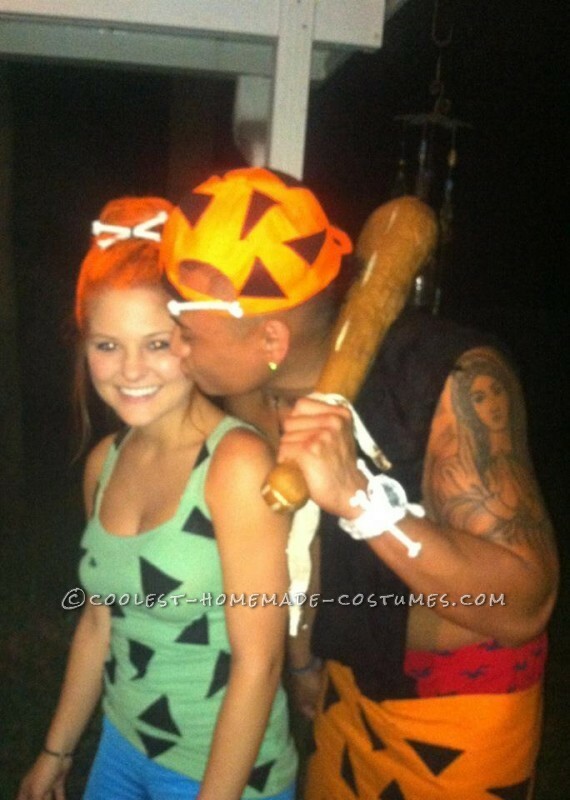 The orange hat was from Walmart in the hunting section which also had triangles and a plastic bone hot glued to it. The plastic bones and hammer were the only thing from the halloween store. 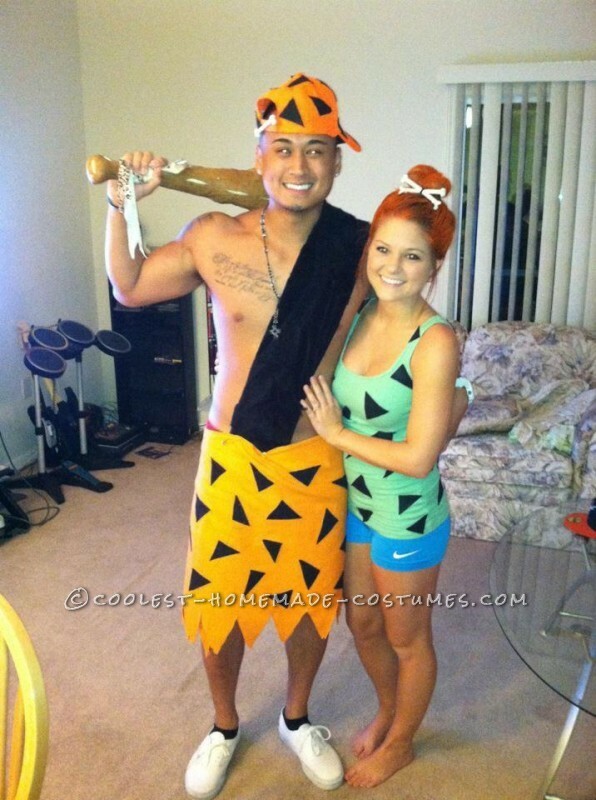 Homemade costume idea posted by Lindsay C.
I am going to a fancy dress party in a few weeks, and we are also going as Pebbles and Bamm Bamm! I am having trouble finding a bone hair clip, but have found a bag of plastic bones that I am going to buy… I was just wondering how you managed to fix yours together and attach them to your hair?